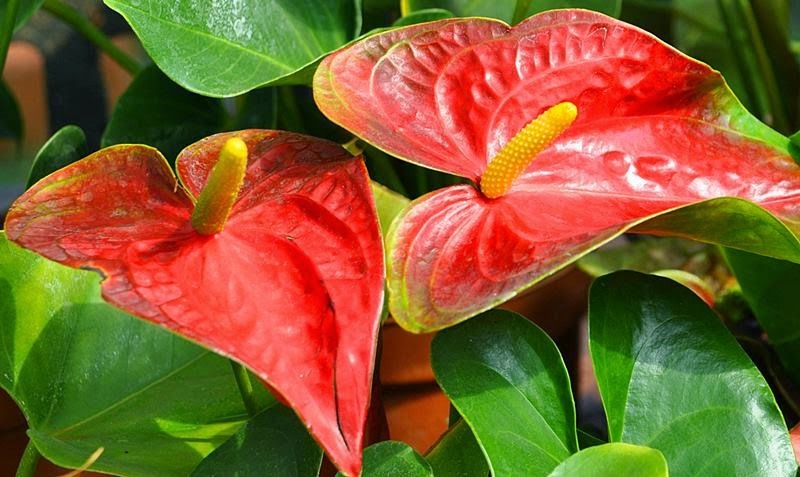 Anthurium is a genus of about 1000 species of flowering plants, the largest genus of the arum family, Araceae. 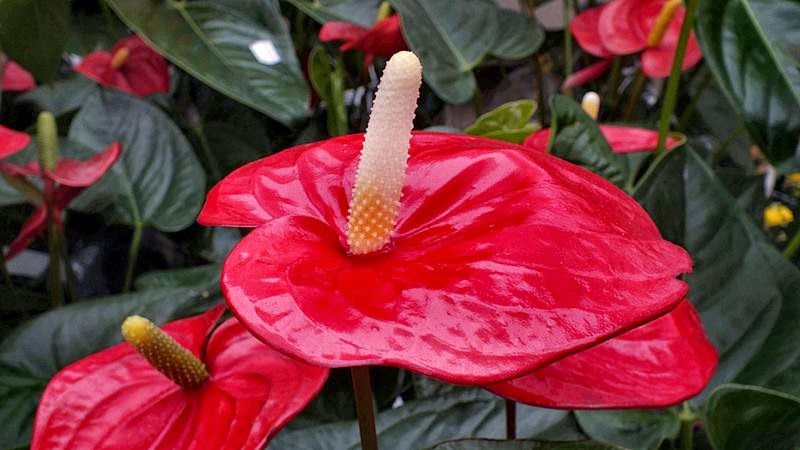 General common names include anthurium, tail-flower, flamingo flower and lace-leaf. 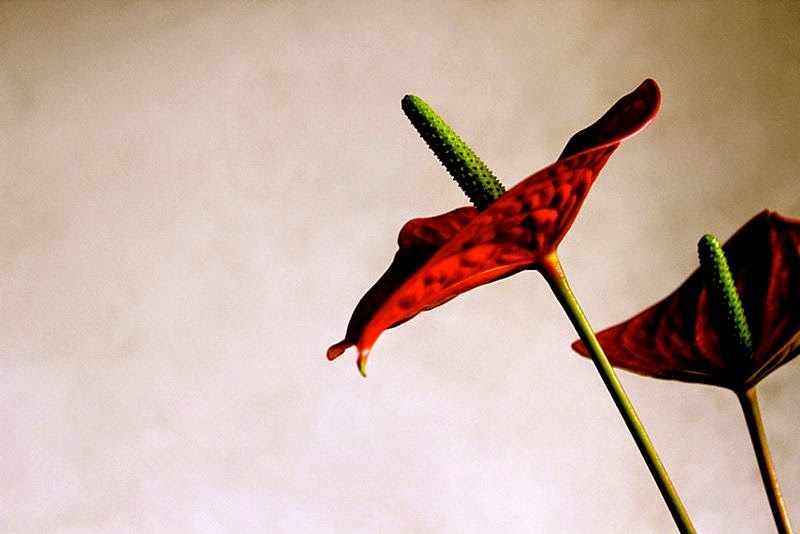 The name comes from the Greek and means "flower-tail." 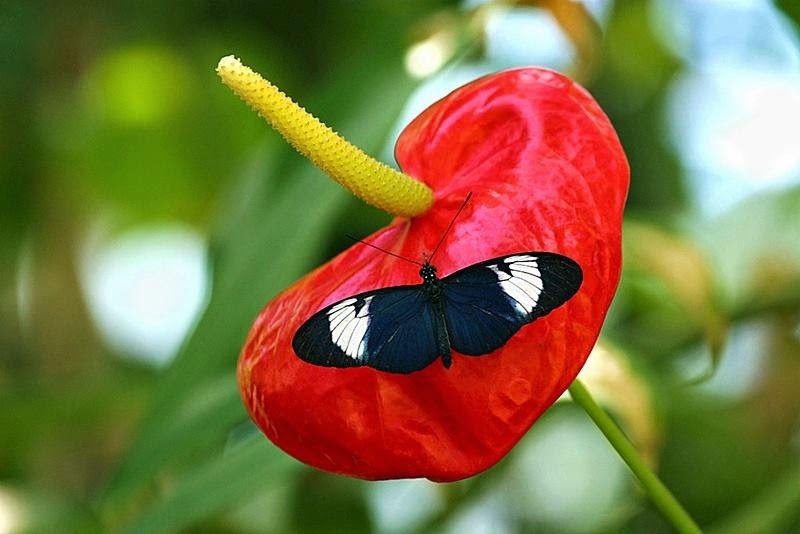 And indeed the flower of this plant is unusual. On long peduncles blossoms white, pink or red slightly re-curved towards the veil - bracts. It is dominated by a straight or slightly arched, different from white to red head - small flowers inflorescence. 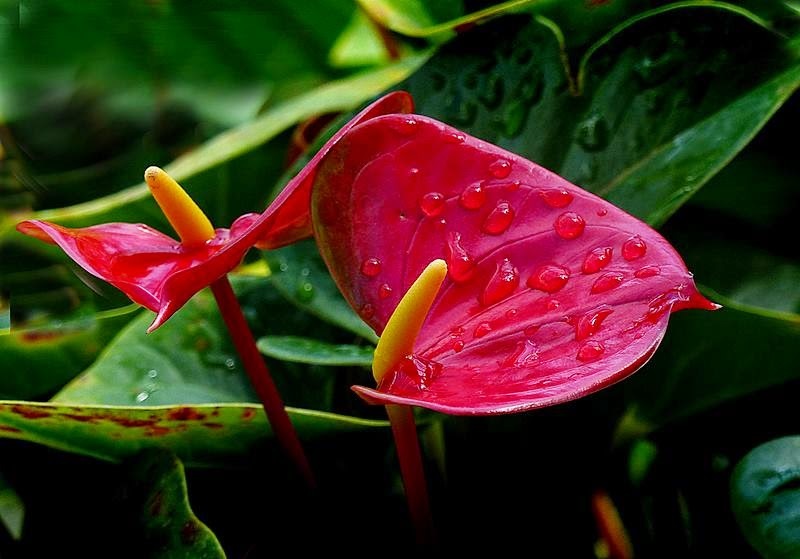 Plant leaves are large, smooth and shiny, and the flowers stand out above them due to high stalk. The plant's stem lengths may grow to a height of 15-20 inches depending on the size of the spathe, i.e., the bigger the spathe, the longer the stem. Its leaves are usually simple, large, attractively colored and borne on long stalks. 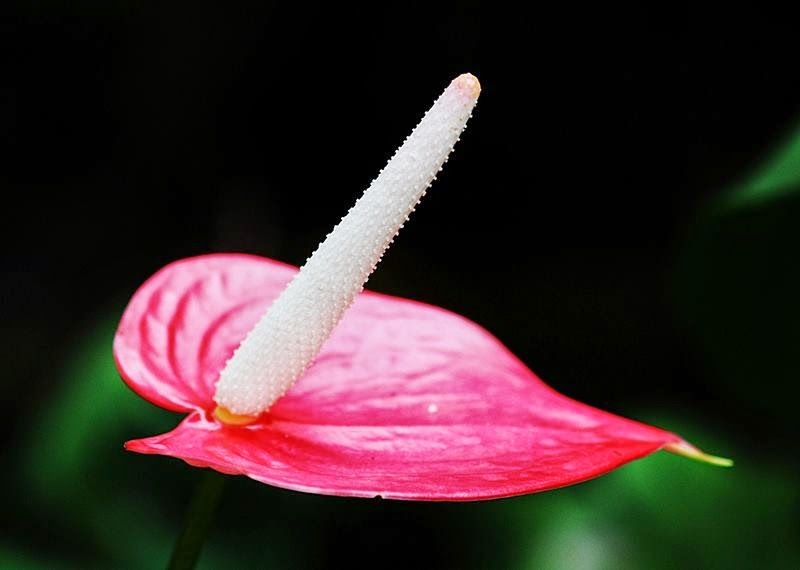 The flowering stalk is slender, ending in a fleshy column crowded with many uni$exual flowers. 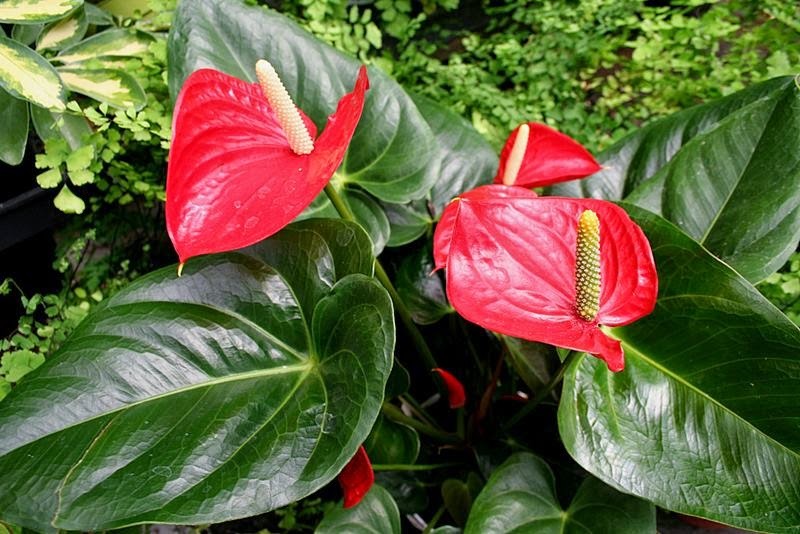 They have leafy bracts which may be white, yellow, red, pink, orange or green. 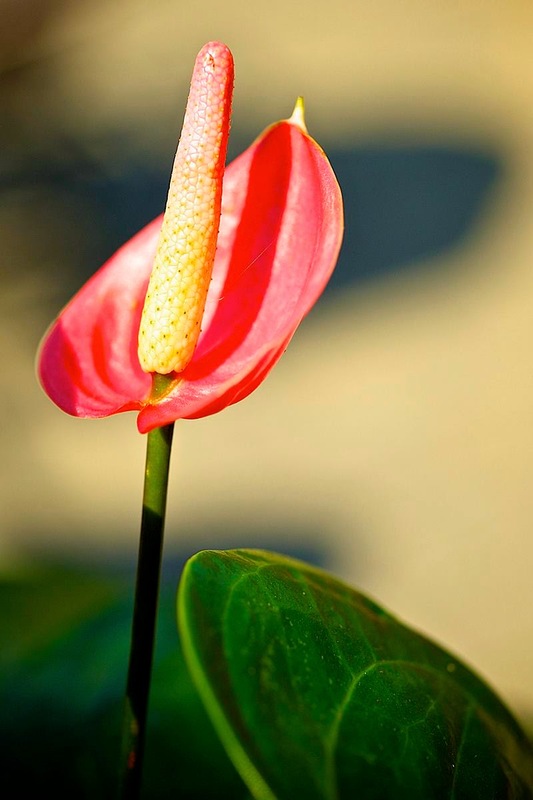 Being popular foliage plants, Anthuriums are grown for their attractive flowering bracts which are popular with the cut flower trade. 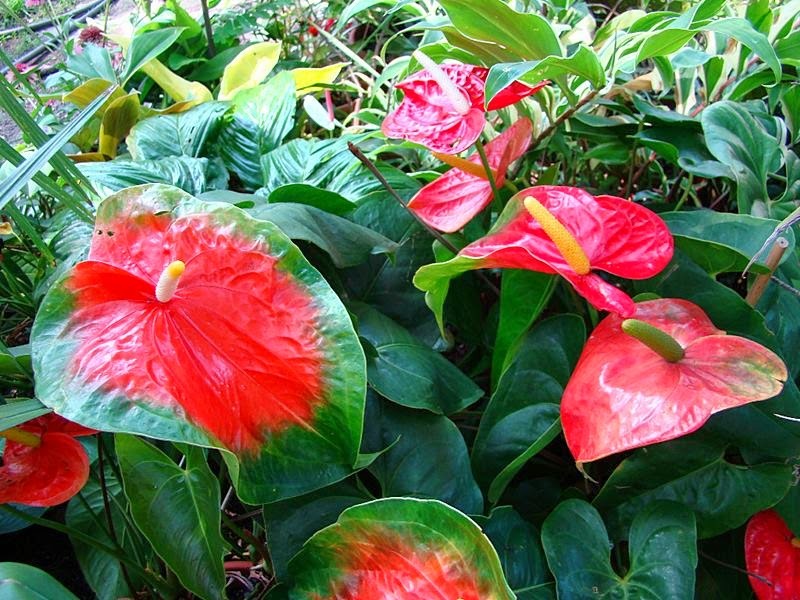 All parts of the anthurium plant, are poisonous. If ingested, may cause mild stomach disorders. 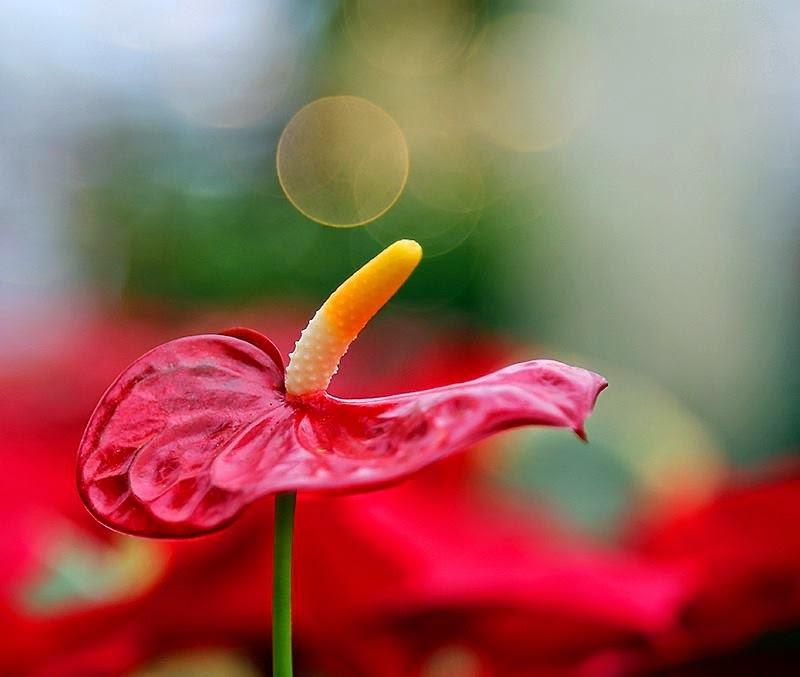 The anthurium plant's sap can cause skin irritation.